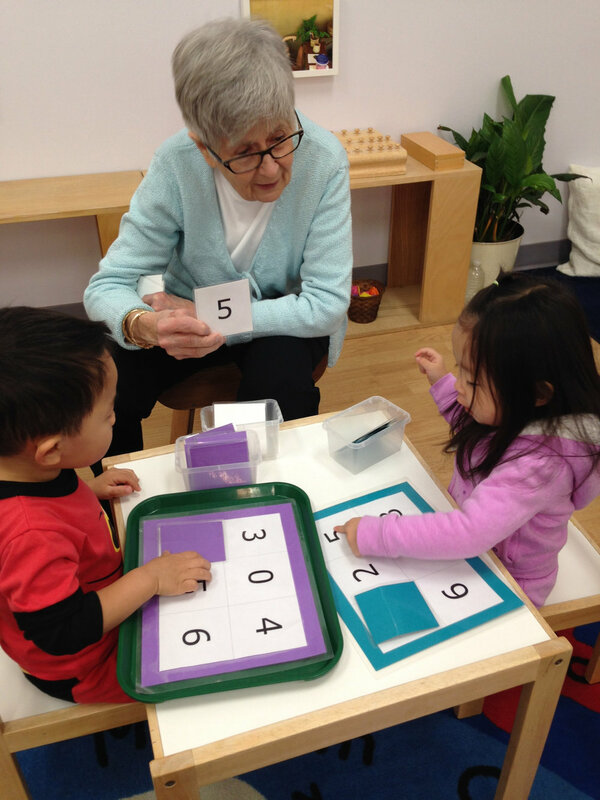 Number Bingo has quickly become a favorite activity in the Toddler 1 classroom. This material is a fun way to reinforce number recognition and also provides an opportunity for collaborative play between classmates. Many Toddlers choose this work multiple times throughout the morning, politely inviting a friend to join them each time. It is especially fun to exclaim, “Bingo!” when their board is full.